Pollinators are a critical part of the agricultural ecosystem. Their presence near farmlands promotes healthy crop growth. However, modern pesticides and urbanization have continued to negatively impact pollinator habitats, causing the agricultural community to suffer as a result. Establishing a pollinator habitat on your farmland is great for both your land and the environment as a whole. One of the best ways for farmers to establish a pollinator habitat is to enroll in the Conservation Reserve Program. 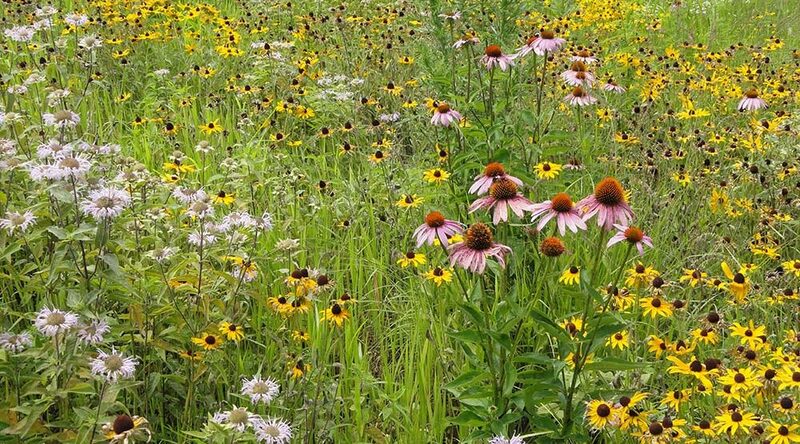 CRP allows you to rent out part of your land to the government, earning compensation while positively impacting pollinators, wild-life, soil quality, and more. FDCE offers a full turn-key solution for farmers entering CRP. We handle seed purchasing, planting, paperwork, and everything in between. With over 350,000 acres of experience, we know what it takes to establish an effective pollinator habitat. It’s our goal to make the transition from farm land to pollinator habitat as simple as possible. To learn more or to get started, contact us today! Enrolling in CRP offers important benefits that extend beyond pollinator habitats. One of the primary purposes of CRP is to combat soil erosion. Damaged and underperforming lands can greatly benefit from transitioning to CRP fields. Other benefits include water quality protection and habitat provision for many wildlife species. All of this can have a significant impact on the health of your farm’s ecosystem. Not only does CRP pay rent for converted lands, but they share cost on the expenses needed to establish the land. That includes services like the ones we provide here at FDCE. Converting farmland into CRP approved cover is a delicate process. To ensure a successful transition, you need professional skill, quality supplies, and specialized equipment. FDCE has you covered. Not only do we supply the seed, the equipment, and the workforce, but we also take care of all paperwork submissions to FSA. All you need to do is sign the FSA 848 when we’re done. With FDCE by your side, establishing a pollinator habitat couldn’t be simpler.